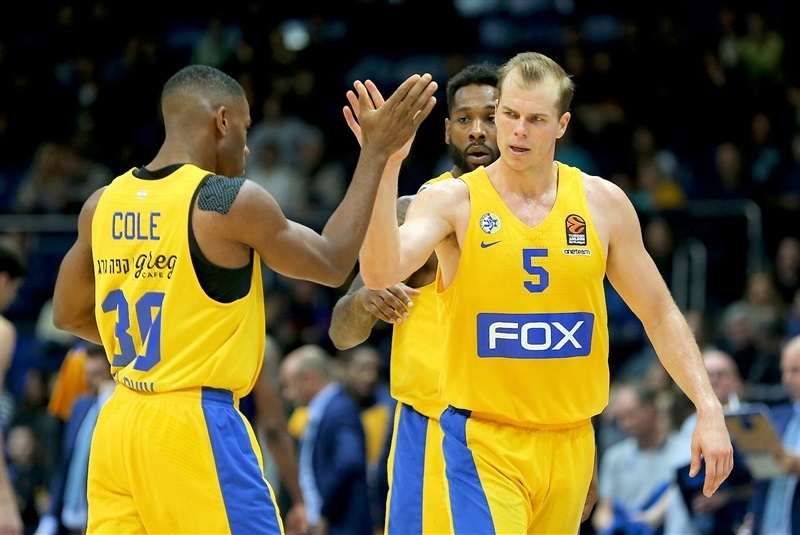 Maccabi FOX Tel Aviv held on for a key road win in Russia, 69-77, over Khimki Moscow Region at Mytishchi Arena on Thursday night. The result leaves both teams with 5-3 records. 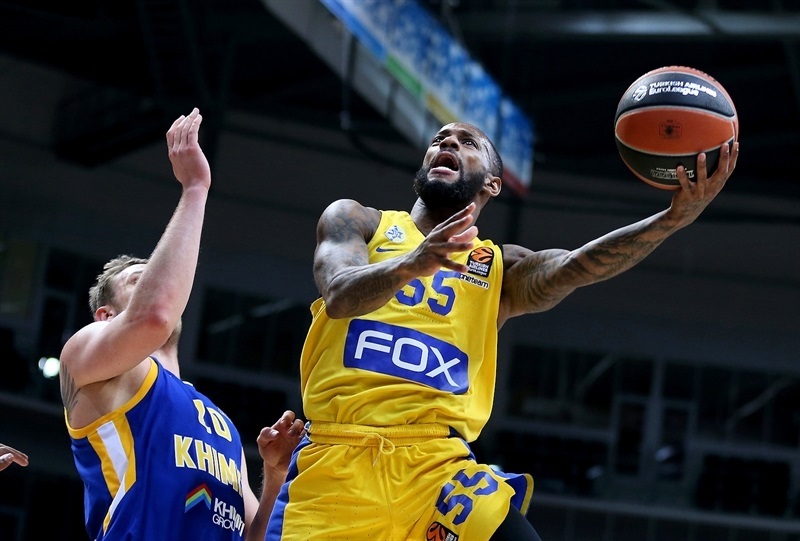 It was Khimki’s first loss at home this season. 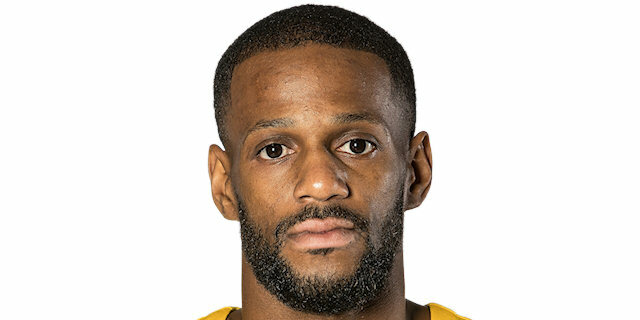 Pierre Jackson led the way with 19 points, 6 assists and 4 steals, Michael Roll produced 14 points and 5 assists and Norris Cole and Jonah Bolden each scored 10. Cole also collected6 steals. 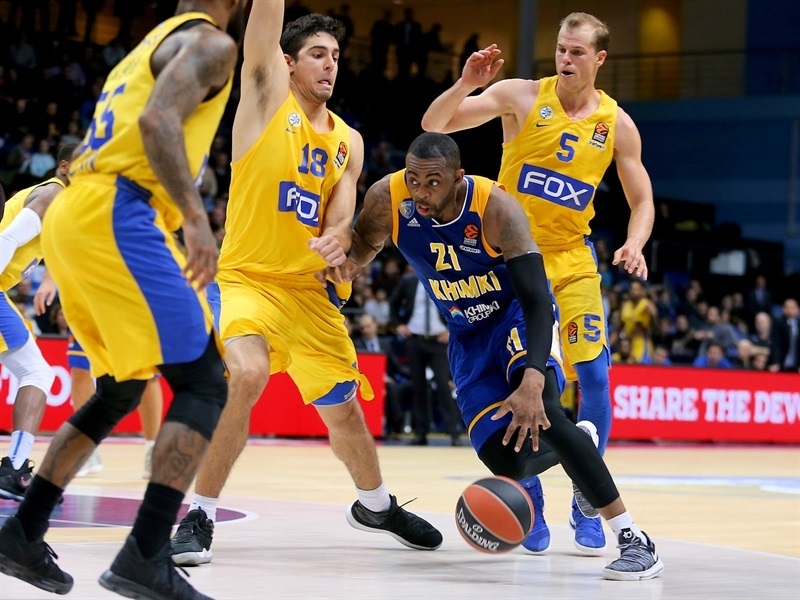 Alexey Shved led Khimki with 21 points, Thomas Robinson posted 17 points and 13 rebounds and James Anderson scored 13 in defeat. 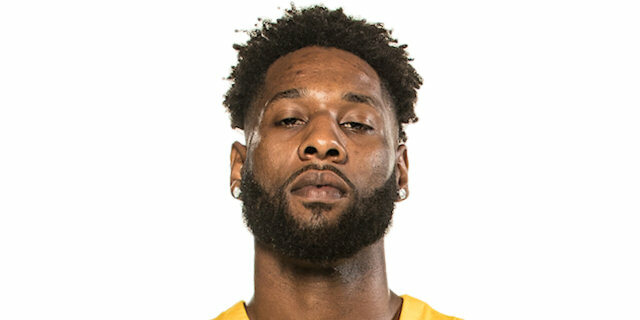 DeAndre Kane led a 0-11 third-quarter run that gave Maccabi the lead for good. 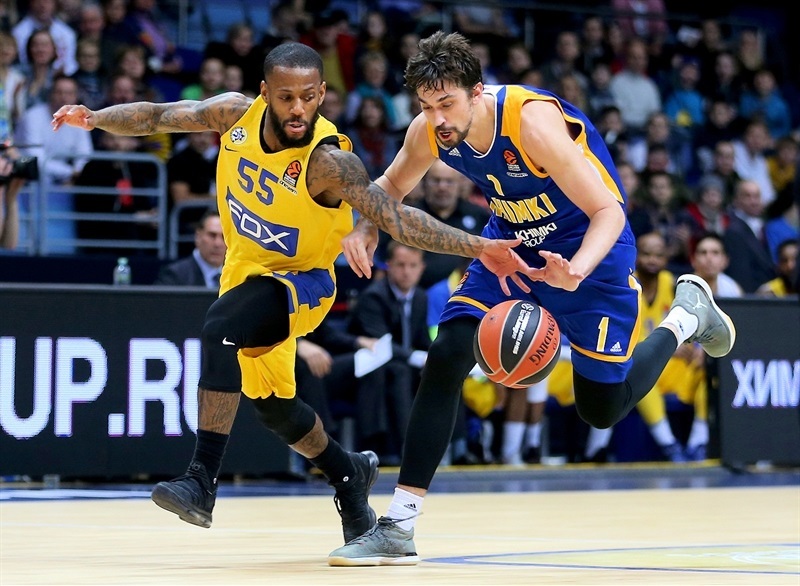 Khimki battled back behind Robinson to get within 1 in the final minutes, but struggled to score down the stretch and Maccabi raced away with the victory. 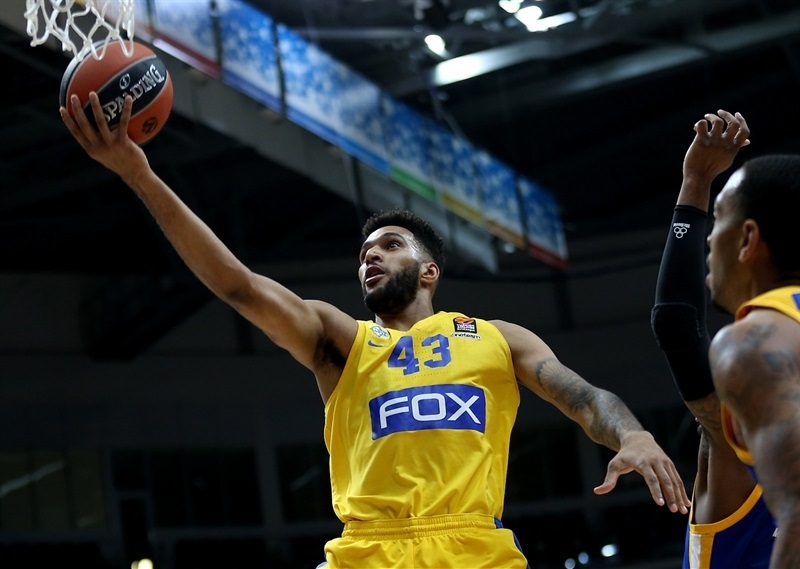 The hosts made threes on their first two possessions, but Maccabi responded with 9 straight points – during with Roll delivered 3 assists – take a 6-11 lead. Jackson scored twice more and set up Bolden for a jumper as the visitors surged to 8-17. Roll pushed the difference to double figures, but Anderson was able to keep the hosts in the picture. Cole’s jumper made it 19-28 after 10 minutes. The teams traded shots for much of the second quarter with the margin swaying between 7 and 11. 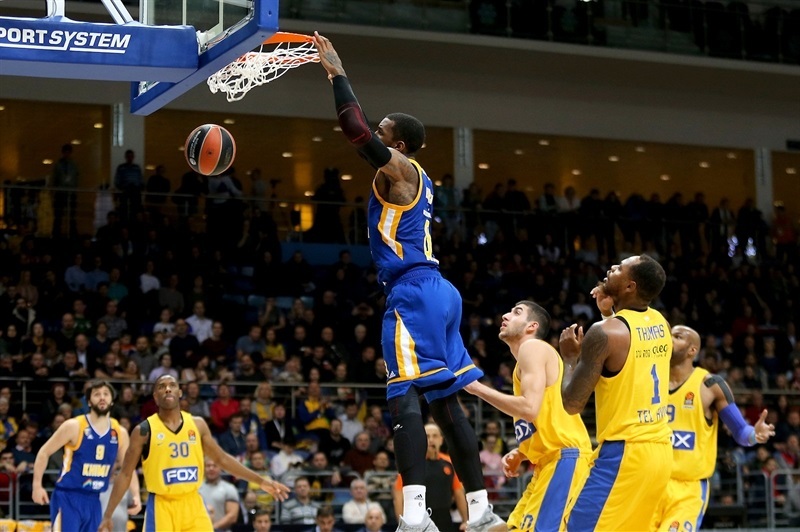 Robinson led a 7-0 push and Charles Jenkins converted a three-point play in the final minute before halftime to bring Khimki within 39-42 at the break. 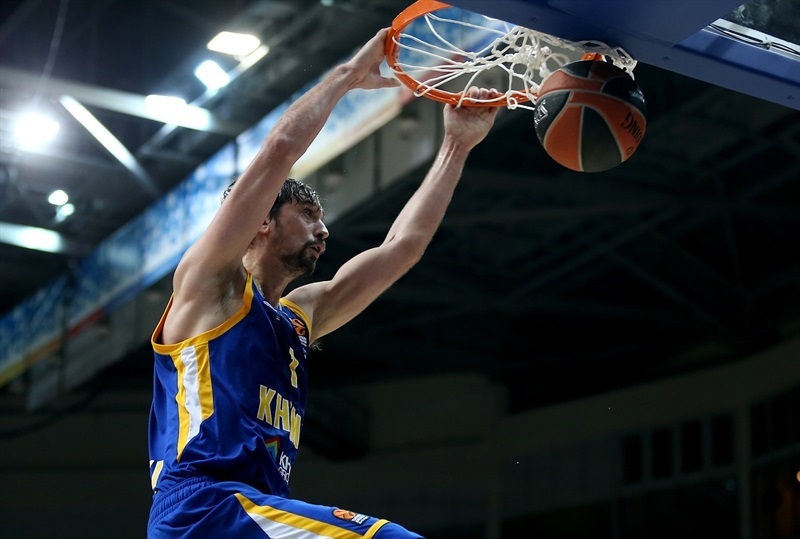 Shved scored the first two baskets of the second half to give Khimki its first lead since the opening minutes, 43-42. The lead then changes hands with each of the next four baskets until Shved buried his first three of the game to make it 50-46. Maccabi called timeout and then went on a 0-11 run, during which Kane scored three times, to regain control. Roll hit a three and added a put-back to extend the difference to 9. Sergey Monia found Shved on a backdoor cut for a slam to make it 55-62 through three quarters. A three-point play by Robinson and an Anderson triple got the hosts within 61-63. 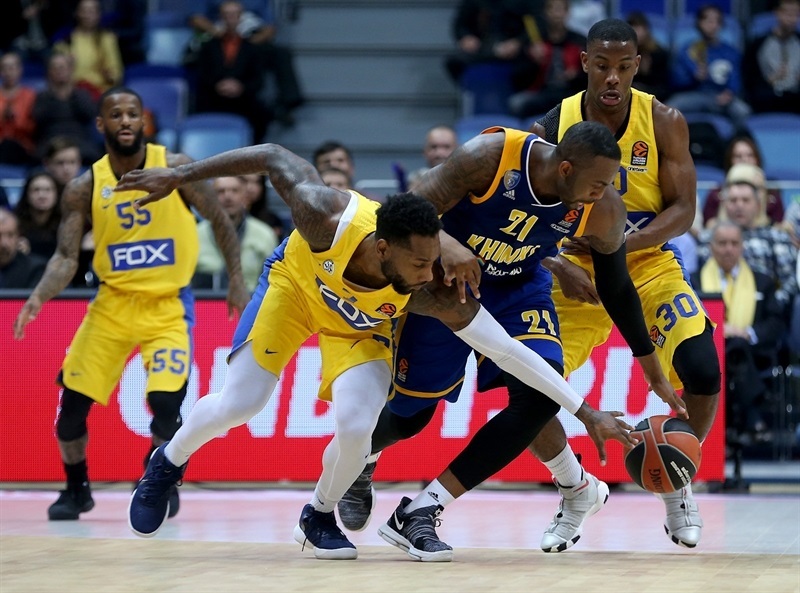 A three-point play by Cole got Maccabi some breathing room, but Robinson turned a pair of steals into baskets that made it a 67-68. 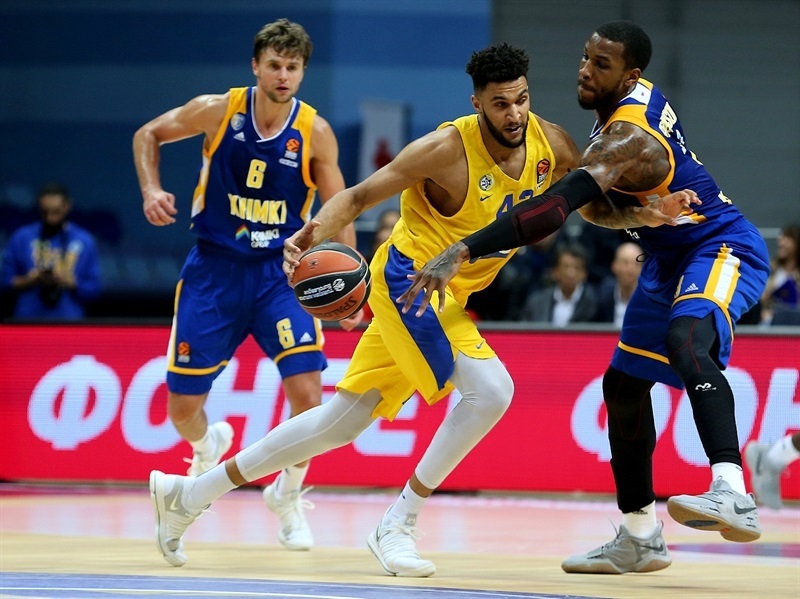 Cole converted a key three-point play on the break as Khimki shooters went cold and missed their next 7 three-point attempts. Jackson extended the difference to 69-75 with free throws with 41.4 seconds remaining and Tyus wrapped up the win with a dunk on the buzzer. "Congratulations to Maccabi. They had a solid game, especially defensively. They took it; they won. We started the game very loose. In the first quarter we allowed 28 points and gave only 2 fouls. So our approach was one more time wrong how we entered the game. Then as always we fought. We played as a team. But the 20 turnovers we made, it was crucial point in this game. They hurt us a lot. They gave opportunities to Maccabi to run in transition. 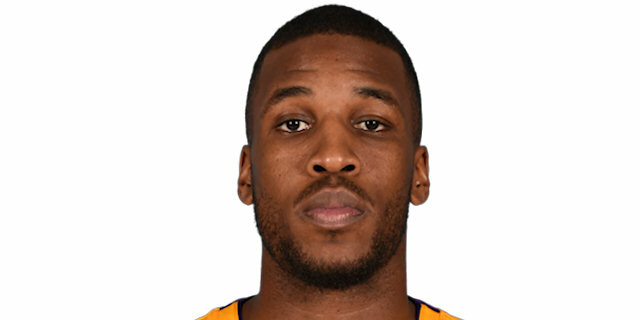 And finally I think it was a one-possession game; we had two wide-open shots to go up in the score, but we missed two wide-open and Maccabi went in transition for a basket and foul and the game was probably over there." 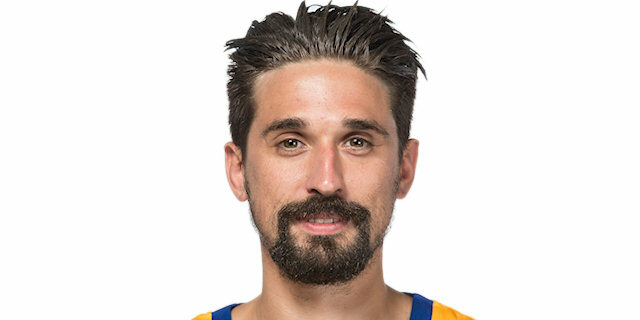 "We knew before the game everything about Alexey [Shved]. He is definitely one of the best, probably the best player in Europe. I think we prepared the game well. Also we executed well. 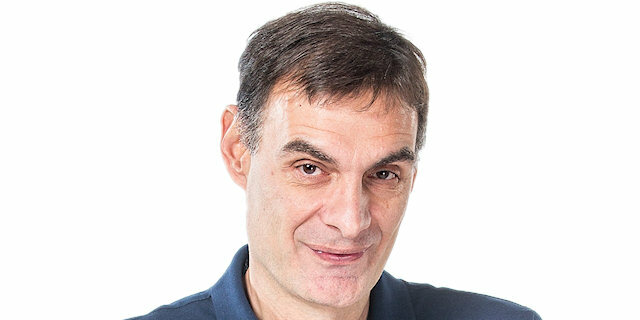 You can plan whatever you want, but if the players on the court are not following the instructions, it doesn’t go well like in the previous game. But to lose a game by 20 at home and to come here mentally tough with a lot of personality, that’s what I‘m happy about. I think this game is our best game [on the road this season]. We won in Bamberg, but this game defensively was better. " 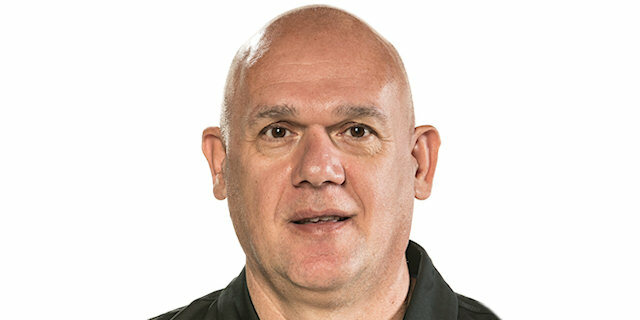 “I can’t say we started the game well as we were down by 10 or 12 points in the second quarter. We lost the two last games and need to fix this situation, make some corrections. We’ll keep working. Everyone is on equal terms as Maccabi players are also tired. We had the schedule practically without days off. We had to win tonight, but didn’t succeed. Of course, we miss Anthony Gill as he plays aggressively both in offense and defense. 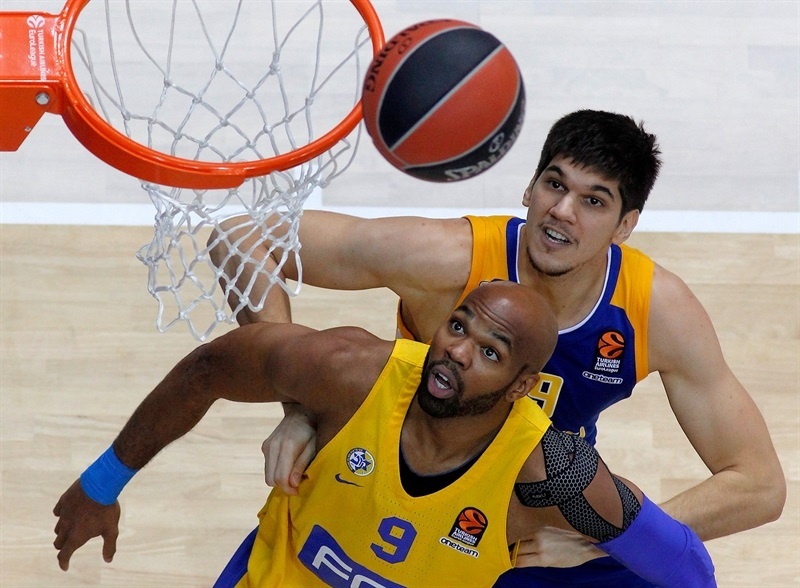 We are waiting for his return, as well as Tyler Honeycutt." "I am very happy for our team and the coaching staff. I think everyone did a great job of coming together after a 20-point loss at home. We steal one on the road against a really good Khimki team is what’s important for us. We came out and we fought for 40 minutes as a unit, as a team and we got the win." "[Shved] is a great scorer. He can score in multiple ways. Our job tonight was just to throw a lot of defenders at him and make him shoot tough shots. I believe [our defense can be better], but playing against a tough team like that that can score so well, they gave us their all and we did a good job."